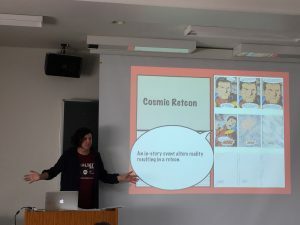 The 2017 Japan Writer’s Conference was held in Tokyo, Nihon University College of Art, Ekoda Campus, on October 8th and 9th – and here is a very, very brief summary of some of the presentations. 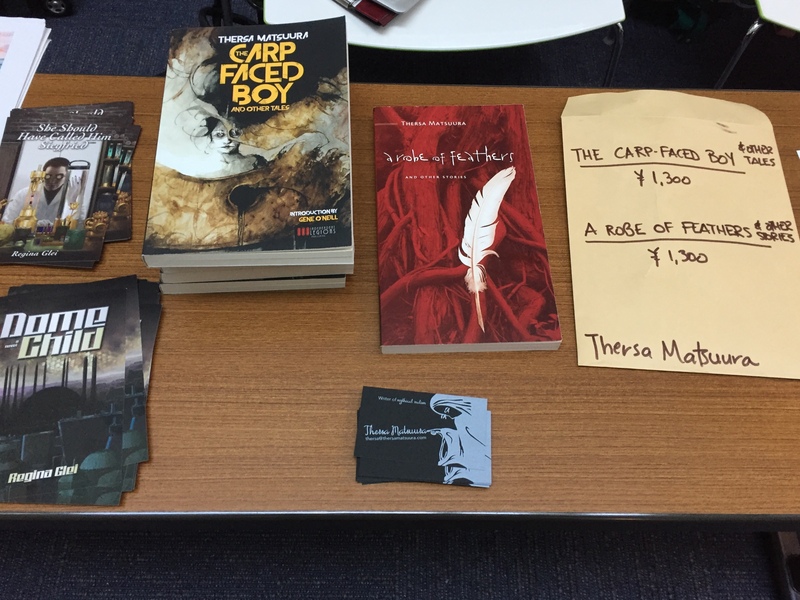 Thersa Matsuura – “The Ins and Outs of Writing Dark and Horror Fiction”. Thersa has coined the term ‘Mythical Realism’ to describe her work, and is also the creator of the ‘Uncanny Japan’ podcast which looks at ancient myths and folk tales in a new light. 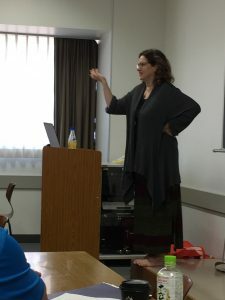 She is the author of two short story collections: A Robe of Feathers and Other Stories (Counterpoint LLC), and The Carp-Faced Boy and Other Tales (Independent Legions Press). More information on Thersa here! Charles Kowalski – “Do Good Things Come in Small Packages? 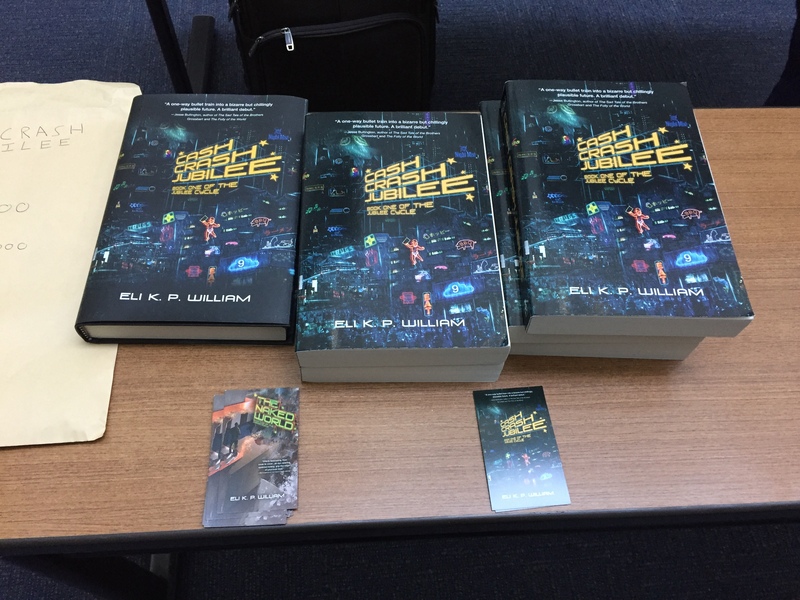 The Pros and Cons of Small Presses”. 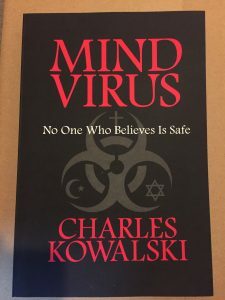 Charles shared his experiences working with small independent publishers on his debut thriller, MIND VIRUS. His novel won the Rocky Mountain Fiction Writers’ Colorado Gold Award, and was a finalist for the Clive Cussler Grandmaster Award, the Killer Nashville Claymore Award, and the Pacific Northwest Writers’ Association Literary Award. More Information on Charles here! 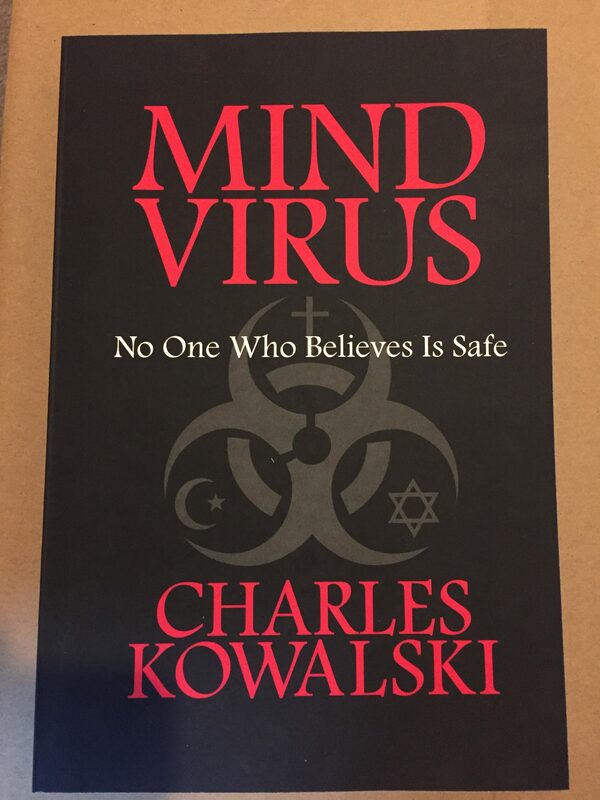 More information on ‘Mind Virus’ here! 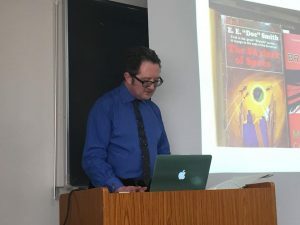 John offered a guide to the bewildering variety of subgenres and subcultures that have appeared in the science fiction genre of the last 35 years. As this is the Excalibur Books website, you don’t really need to ask, but – there’s more Information on John here! Sara’s short lecture and craft workshop focused on the concept of “retroactive continuity”: the addition of new, conflicting information to a backstory in order to enhance a plotline or plot point. Sara’s stories have appeared in Ideomancer, Andromeda Spaceways Inflight Magazine, Crossed Genres, and AE-The Canadian Science Fiction Review. Her website and blog is currently under construction. 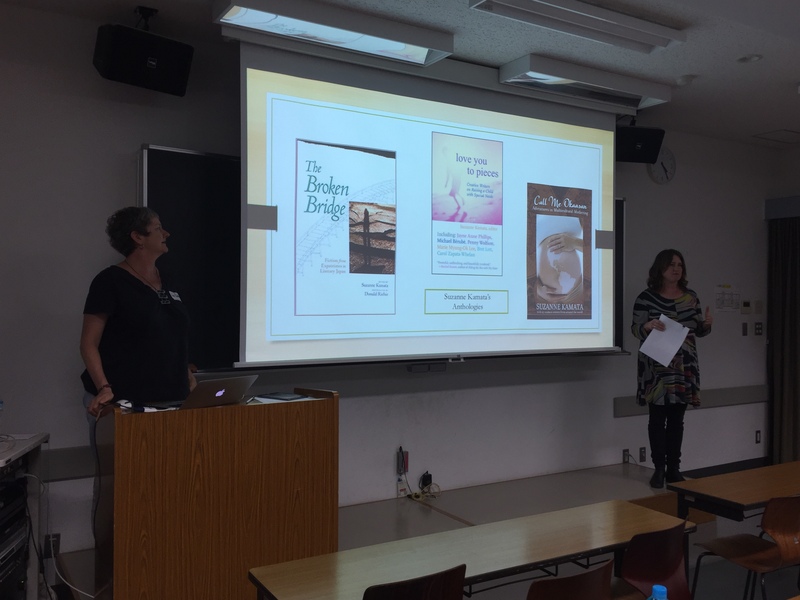 Suzanne Kamata and Susan Laura Sullivan – “From Ant to Anthology: Getting an Anthology off the Ground”. Suzanne and Susan detailed the long process of recruiting authors, collecting stories, and finding publishers, to create a successful anthology of creative fiction or non-fiction. More Information on Suzanne here! More Information on Susan here! More information on Eli here! John Boyd – The Pros & Cons of Publishing with Pronoun. John’s experiences with using Pronoun, an ebook distributor which links to the Big 5 eBook sites: Amazon’s KDP (but not Kindle Unlimited), Apple’s iBooks, Kobo, Google Play and Barnes & Noble, after his novel Killing Time in Tokyo was published. More information on John here! 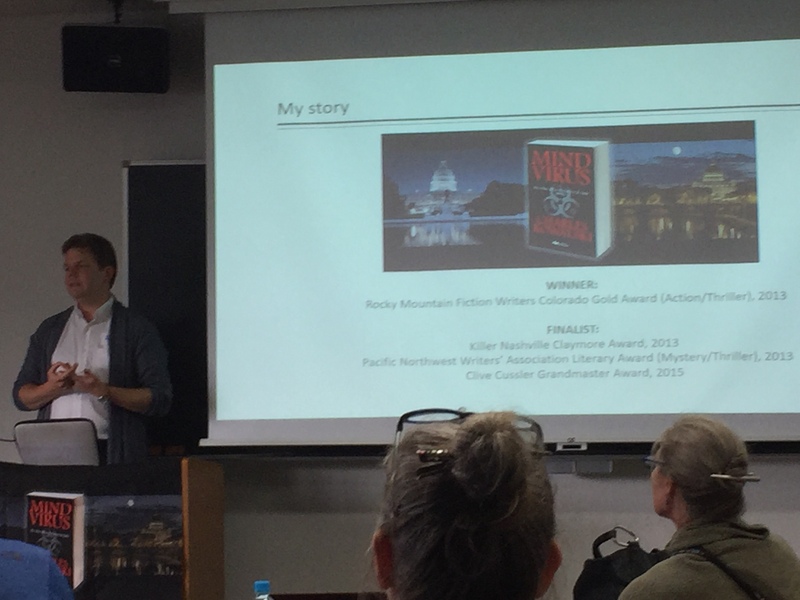 Jacinta Plucinski – Writing Interactive Fiction. More information on Jacinta here! This entry was posted in Japan, Literature. Bookmark the permalink.